"AMPLIFY GOLD PROPERTY! 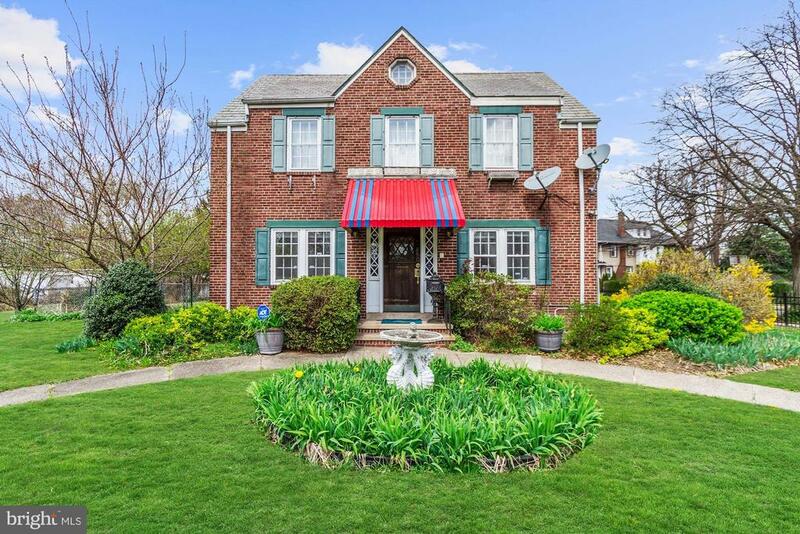 Stunning and unique6 bedroom, 3.5 Bath colonial in the Golden Crest section of Hamilton Township with great natural sunlight, new flooring, and fresh paint throughout. Sunshine pours in through the two bay windows located in the living and dining rooms. The fully updated eat-in kitchen features beautiful ceramic tile floor, new white cabinets, stainless steel appliance package including built-in microwave and has an open view to the sunken living room. Off the kitchen is a large laundry room/pantry which provides inside access to the 1 car garage with garage door opener, and double driveway for 4 cars. On the second level are six generously sized bedrooms and a main upgraded full bath. The bright master bedroom suite includes two closets, one walk-in and upgraded full bath. A full finished basement is perfect for a man cave, child's playroom, media room and has a convenient upgraded full bath. Fenced yard with two beautiful cherry trees. Steinert school system. Located in close proximity to major highways, shopping, restaurants, schools, and Hamilton train station. This home has it all!! Just move in and begin making memories with your family in your new home." "Introducing a Gem of a HOME! 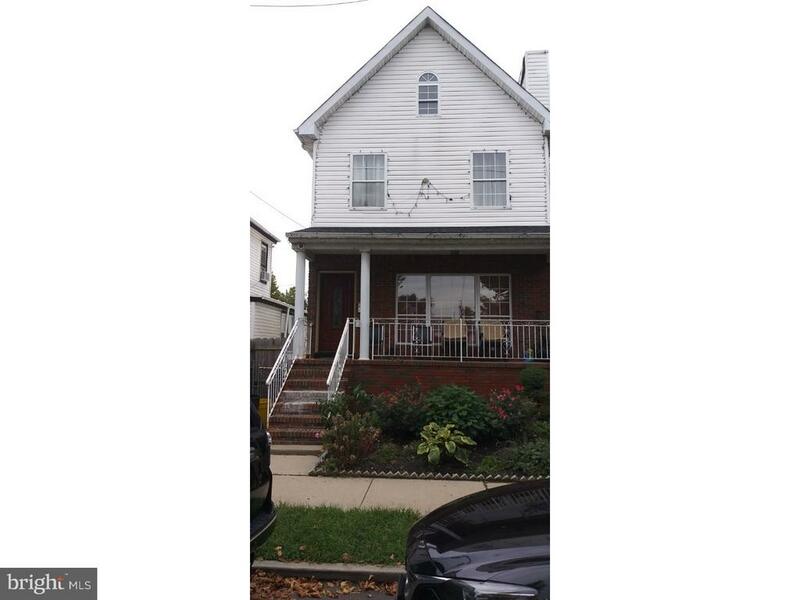 Absolutely move in condition 4 bedroom 2.5 full bath colonial. Pride of ownership clearly seen throughout entire house. Tile covered front porch. Finished garage floor. Enjoy the full finished basement, Solar panels & sprinkler system installed with many upgrades during ownership." 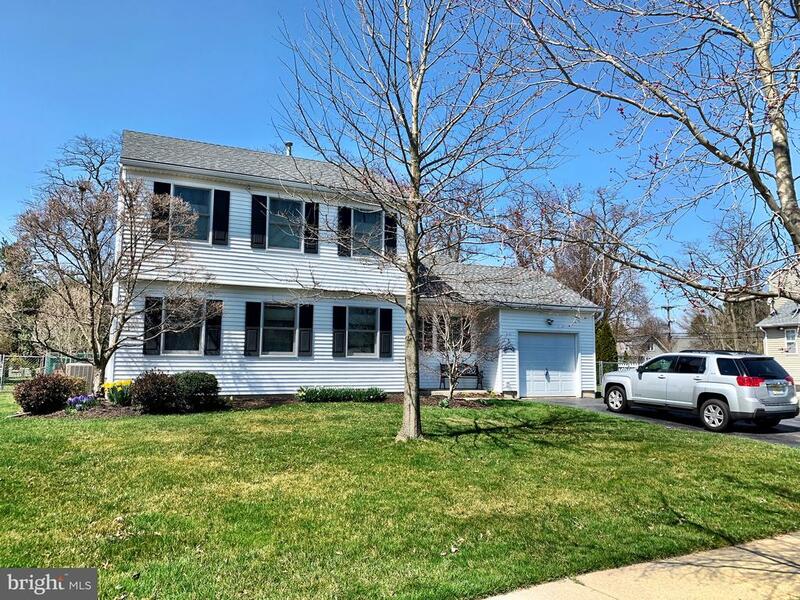 "Pride of Ownership is found throughout this Freshly Painted & Well Maintained 3 Bedroom, 2 1/2 Bath Colonial that offers a Full Basement and is nestled on a Premium 1/3 Acre Lot in Desirable Wellington Woods Development, BORDENTOWN TOWNSHIP! Beautiful hardwood captivates your eye & flows throughout the 1st Floor with light beech 3/4 plank & rich acacia wide plank flooring. Spacious Living Room offers additional space for an Office area. Dining Room & Living Room are adjacent to one another offering endless possibilities for Entertaining Family & Friends. Dining Room contains upgraded chandelier, wall lighting & crown molding. The Acacia Hardwood flooring takes over in the Updated Kitchen Area with granite countertops, upgraded cabinetry with large pot/pan drawers & hardware accent, stainless steel appliance package that includes microwave/convection oven, tile backsplash, under cabinet lighting, coffee station area, stainless steel sink with faucet & filtered water spout & upgraded lighting plus Slider access to your Backyard Oasis featuring the Stamped Concrete Patio that overlooks & surrounds the In-ground Pool (New Liner 2017). More Room to Grow is found in the Family Room with vaulted ceiling, recessed lighting, surround sound wired, ceiling fan plus access to the Attached 1-car garage with opener. 1st Floor Laundry room consists of folding area, basket storage & hanging area. 2nd Floor offers upgraded carpeting & access control to the whole house attic fan. Master Bedroom offers His/Her closet with shelving & ceiling fan with light; Upgraded Private Master Bath that features tile tub/shower with Jacuzzi jets, cultured marble vanity, lighting & fixtures. Two other nicely sized Bedroom's are in close proximity to the Upgraded 2nd Full Bath with quartz vanity. Additional Features Include : Newer Roof, Newer wood casement windows with invisible screens, Upgraded Blinds & Window Treatments, Wired Alarm system with camera access on your smartphone, In-ground Saltwa"
"Brick exterior makes the building very low in matienance. Features include a workable kitchen with commercial stove, 2 fireplaces; dual staircases; hardwood floors; finished attich; partially finished basement with notty pine walls, bar and gas fireplace Can also be used as owner occupied commercial, some possible use re: attorney office, architectural office, doctor or dentist. Very well maintained and available immediately." "Beautiful water views, this fully renovated 6 bed, 4.5 bath home is located in highly desirable Berkeley Square. Enjoy the perfect combination of modern luxury and grandiose style. The stunning walkway and driveway leading up to the grand entrance with a gorgeous porch are impressive. Enter into the architecturally modern foyer, flanked by a formal dining room and an exquisite living room with a stately fireplace. There is upgraded detailed molding throughout the entire home and custom paint in the latest designer colors throughout. The designer kitchen utilizes an open concept design with plenty of natural light and features butcher block counters and an insland with its; own prep sink. There are stainless steel appliances and a wonderful breakfast area which overlooks the very private backyard. The hard wood floors have all been refinshed in the latest color and upgraded lighting throught the entire home. The Sunroom has a wall of windows perfect for enjoying your morning coffee or relaxing with your favorite book. The turned staircase will lead you up to the second and third floors. The second floor has 2 enviable Master suites both have large walk in closets and fully renovated sparkling bathrooms. There is another large bedroom and another fully remodeled bathroom and a den/office. Continue up the impressive staircase to the third floor where you will find a loft/family room, and 2 more generous sized bedrooms and another fully renovated bathroom. The full basement has 12 foot ceilings and is perfect for storage, a wine cellar, or gym area. The fully fenced backyard has a large deck and a refreshing above ground pool. Professionally lanscaped. Detached 2 car garage. Convenient main floor laundry. Brand new slate roof. Exterior is in the process of being freshly painted . The owners use of flooring, lighting and decorative enhancements blend perfectly to create a sense of comfort and style. 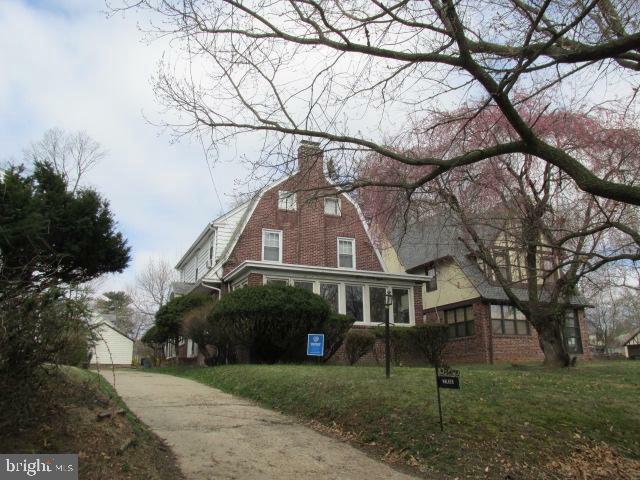 3 zoned heat/AC. . A million dollar grant is being used t"
"Move right into this 3 BR 1.5 bath Colonial home anticipating it's new owners! Decorative chair rail molding in the formal dining room is a feature that gives this home it's original charm. A gas fireplace here warms up the room, the perfect setting for those chilly nights! French doors guide you to a heated sun room where you can enjoy gorgeous natural sunlight & panoramic views of the property all year round! The EIK is raving w/immaculate finishes! An abundance of custom white cabinets allow plenty of space to store your kitchen supplies. Decorative wainscoting moldings. Recessed lights, & plenty of space for addtl. dining! A spacious LR & mud/laundry rm completes the main lvl. The master BR is complete w/a big WIC! This home also feats. a finished attic where 2 bonus rms are great for storage or an office space! Enjoy endless activities in the playhouse, or studio/workout rm off the garage! 2 storage sheds for your outdoor equipment. Driveway w/ large parking area in front of garage. Partially fenced yard. The list of feats. goes on!" "Recently updated kitchen with granite counter tops. 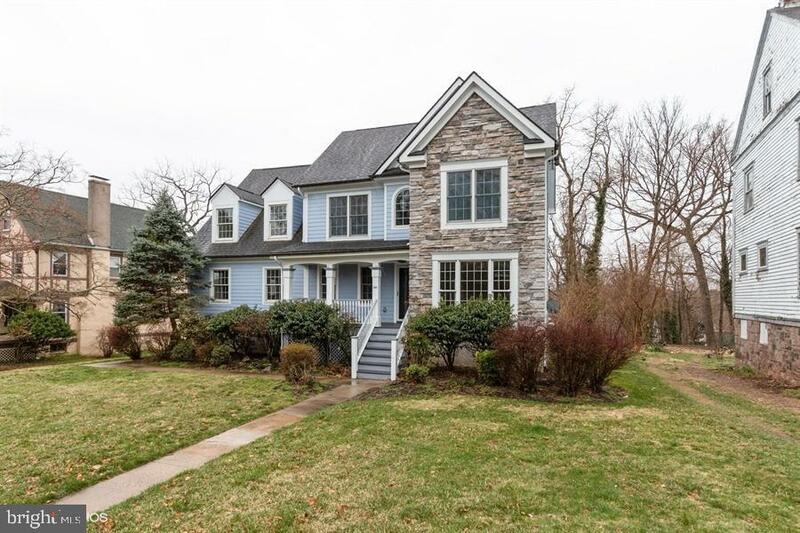 Fabulous family room addition with plenty of windows and fireplace! Beautiful over-sized fenced in back yard. Laminate and tile flooring. Updated master bath. Replacement windows. One year home warranty! A Must See. More to see." "Enjoy the feeling of yesteryear with all of today's modern conveniences! 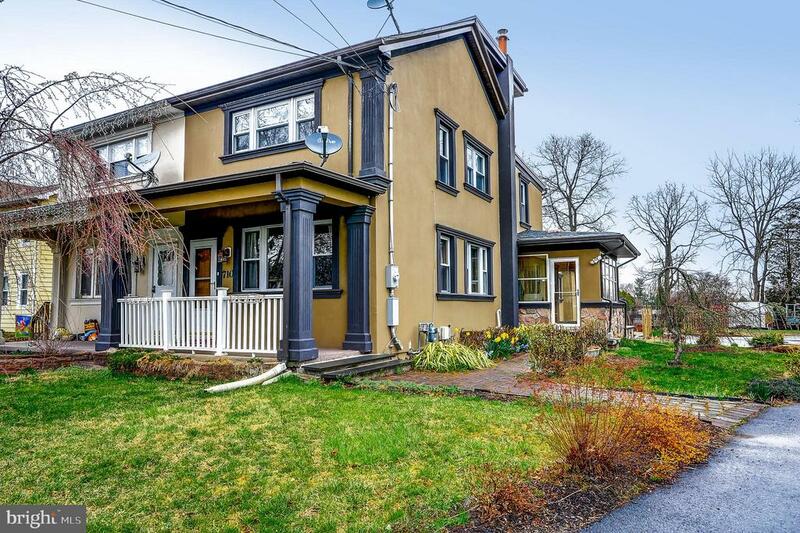 Beautifully maintained Colonial in the Heart of Hamilton Square. 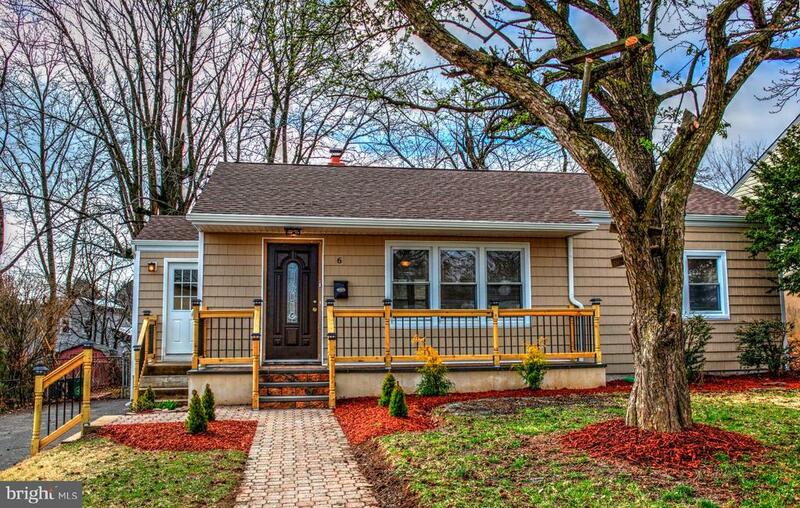 Conveniently located 10 minutes to Trenton and Hamilton Train Station allows for easy commute to NYC & Philadelphia. Enjoy in-town living and walking to restaurants, shopping, local park, and school. Step into the front porch of this vintage home and enter into the Foyer/Living Room with built-in book cabinets and crown molding. Amazing Hardwood Floors. Formal Dining Room, and Den. Enjoy entrertaining in this Kitchen. Perfect, updated, spacious, and bright & sunny with lots of windows! !Ample Oak cabinets and counter space, center island, recessed lights, heated floor. From the sliding door, step out onto the (2) tiered Tree Deck and enjoy your beautifully landscaped yard and Koi Pond. Yard also features and oversized storage shed. First Floor has a Full Bathroom with a shower/tub. Second Level features Master Suite with vaulted ceilings and separate adjoining Bathroom and Laundry Room with cabinetry and sink. Plus (2) additional Bedrooms and Walk-Up Attic. Did I mention a dry basement with extensive storage? Recently updated and serviced heating system and central A/C (2 years). Low maintenance vinyl siding. Move in Condition! !A GREAT value!! Make this Home Yours!! 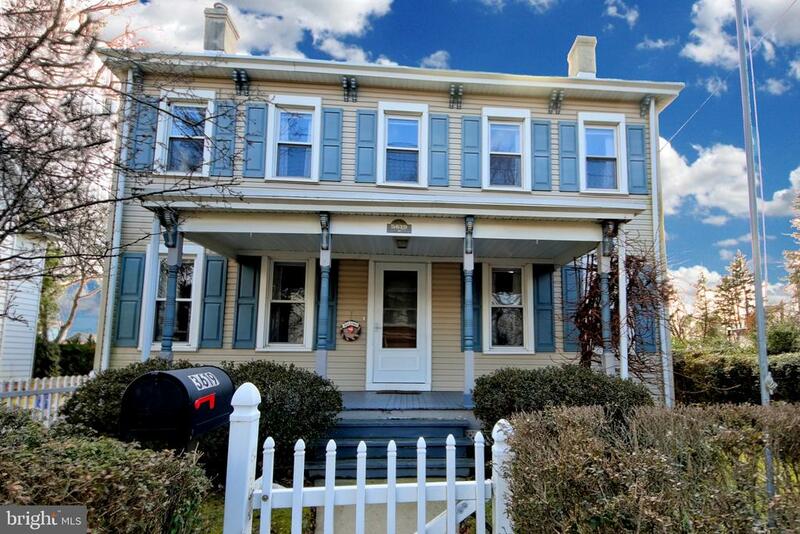 PUBLIC OPEN HOUSE SUNDAY 3/31 from 1pm to 4pm." 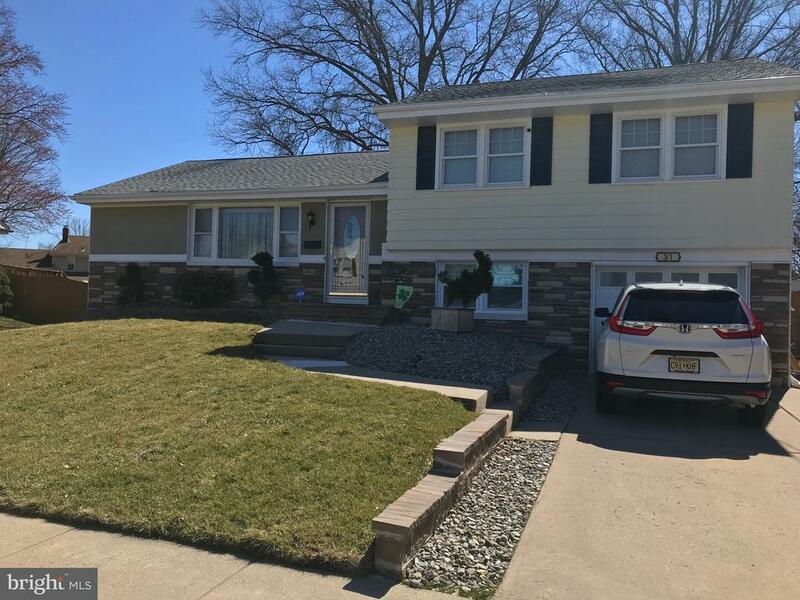 "Custom home in Cadwalder Heights neighborhood updated & refreshed with open floor plan updated kitchen with large two tier deck, lower pagoda deck overlooks canal. This home has lower finished level with extra bedrooms and full bath. Property has also been updated with new mechanical systems. 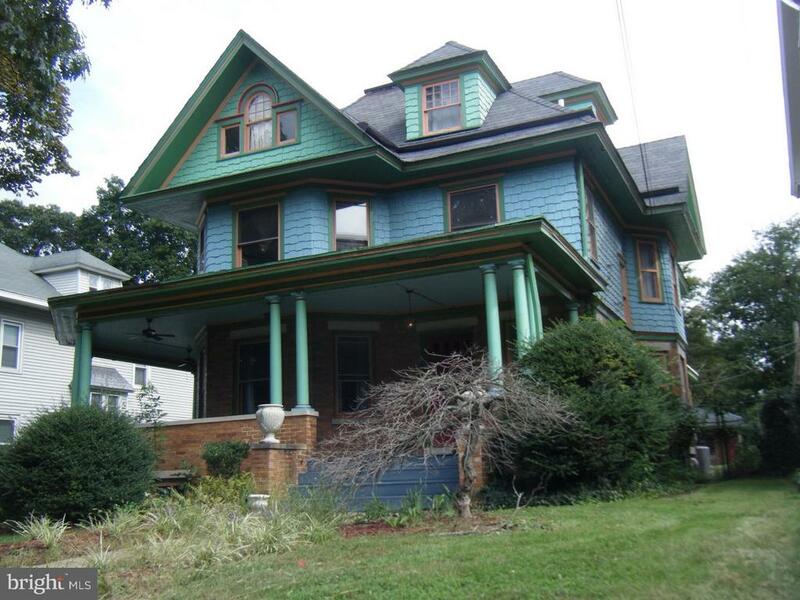 Make an appointment to see this HomePath property"
"Visit Trenton's Cadwalader Heights and this traditional 1907 Victorian home that sits atop a large sloping lot. The exterior offers a sweeping wrap around front porch with ceiling fans for cool summer evenings, and a sunny rear yard with 4 car plus, detached garage. 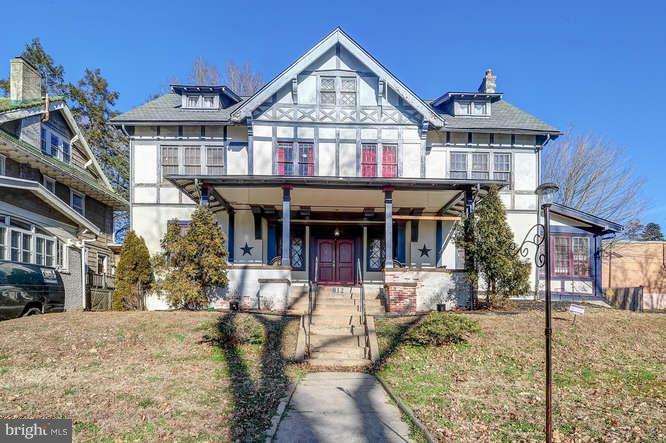 Inside you are greeted with a large entry foyer, sweeping staircase, original natural woodwork and fireplace mantles (there is now a gas insert.) There are many major updates - 2 gas FHA/CA systems, 200 amp electric, and basement French drain mean that many of the expensive updates are done. A mid century addition has a updated kitchen area with light cabinets, granite counters, ceramic floor, powder rm & adjacent sunroom. The remainder of the first fl has a breakfast room, butler's pantry, family room, formal DR, LR with 2 sets of french doors and formal foyer to complete this level. The 2nd level has 3 bedrooms and 2 full baths. the main bath has an adjacent laundry with walk-in closet. (there is also a rear stairway.) Continuing to the full 3rd floor one finds a large landing area den, 2 bedrooms and a small office of nursery. This home offers space for whatever your needs you may be. Make your plans to visit soon, plan your finishing touches to add your own style." "Classic Mid-Century Contemporary home in Trenton's Hiltonia area. Designed by Trenton architects, Kramer & Hirsch and built in 1952, this multi level home offers a variety of living options. Wide foyer with flagstone floor and open staircase leads to combo LR/DR with FP, eat-in kitchen, and main floor bath & bedroom area. A three season porch is accessible from the DR, Kitchen and side entry. The upper level has 3 BRs, and another full bath. The lower level great room has built in cabinets, sound system (speakers both in and outside), wet bar and powder room. The rear glass wall has 2 sets of sliding doors leading to a walled flagstone patio and serene garden. Side entry from garage, and rear yard are completely fenced. New energy efficient replacement windows and multiple additional upgrades make this a home to see. (second main floor BR closet units are not attached, completely free standing and removable.) 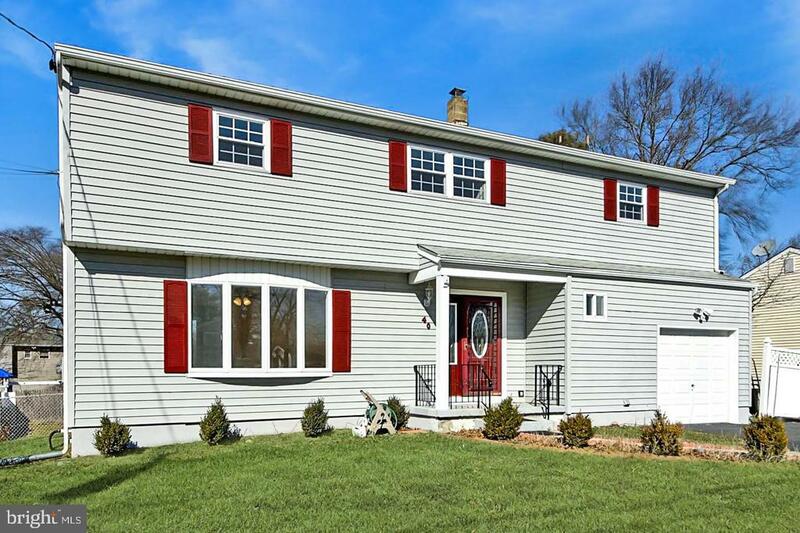 This property is now a SHORT SALE and is to be sold as-is"
"Welcome to this absolutely gorgeous 5 bedroom 2 bathroom twin in desirable Lawrence Township. Hardwood floors throughout. 3 year old 3 zone heating and ac unit. Enjoy the large lot outside on your EP Henry Paver patio on this spring nights. Showings to start April 6th. Schedule your viewing now as this property won't last." 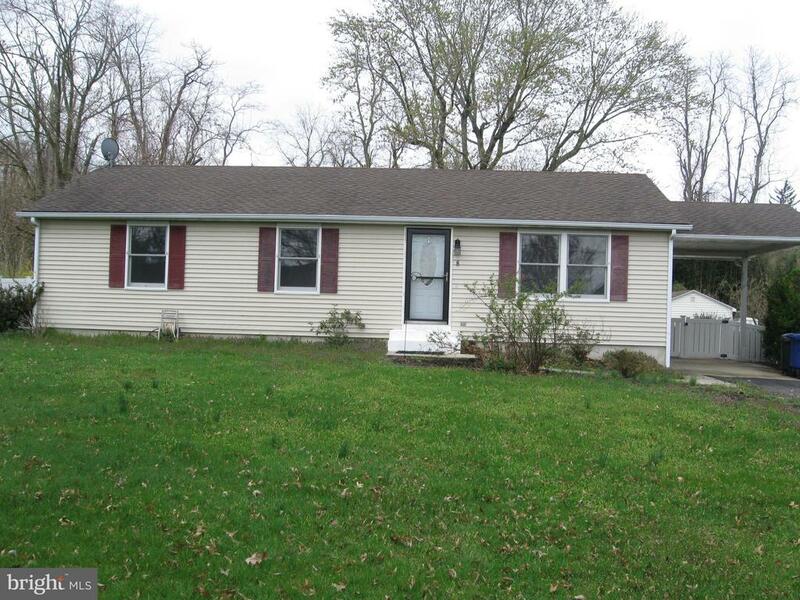 "Spacious 3 bedroom, 2 full bath Ranch. Open floor plan features a galley kitchen with pantry and laundry room, dinning room with glass sliders to bright and airy sky lighted sun room. The sun room is enclosed with large windows for viewing the deep lot that backs to the woods. There is also a large shed for storage . Main bedroom has double closet, ceiling fan and full bath, 2nd and 3rd bedrooms also have full closets and another full bath. 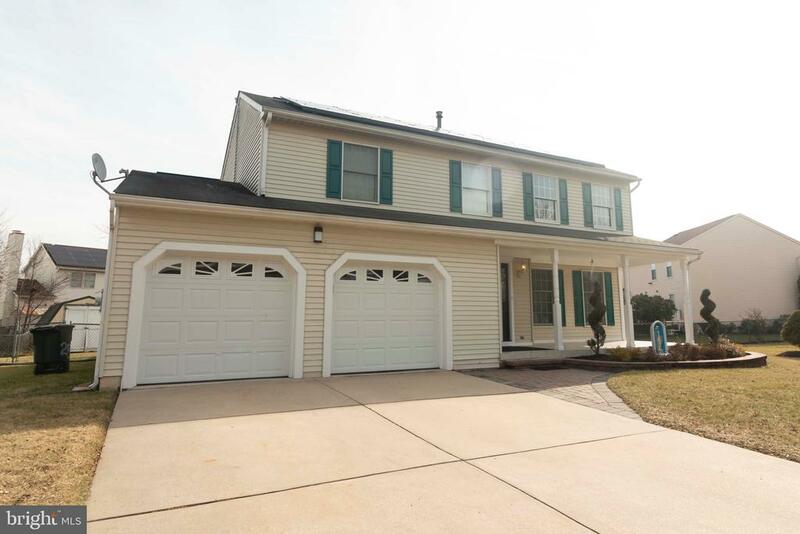 All this plus the convenient location to all major roads , shopping, dinning venues plus Bordentown Regional Schools. Make an appointment today!" "Prepared to be amazed! You have to see this impressive, custom remodeled 4 bedrooms and 2.5 bathrooms ranch located in quite neighborhood within a walking distance to the park. Beautiful and professionally redone NEW kitchen has it all, from porcelain tiles on the floor, custom cream cabinets with self closing drawers, granite countertops, stainless steel appliances to mozaika backsplash. All the bathrooms has been completely renovated from the top to the bottom with NEW vanities, hardware, tiles and lighting. Generous size bedrooms with a lot of closet space, fully finished basement, open floor space, hardwood floors and fresh natural paint are only few features this house is coming with. This home offers so many new and professionally finished items, that are, but not limited to NEW Roof, NEW Gutters, NEW Siding, NEW Lenox HVAC, NEW Front porch and many more. Fully fenced backyard provides great space for an outdoor entertainment. 1 Year Home Warranty included for the new Owner! Absolute MOVE IN ready - Schedule your appointment today!" 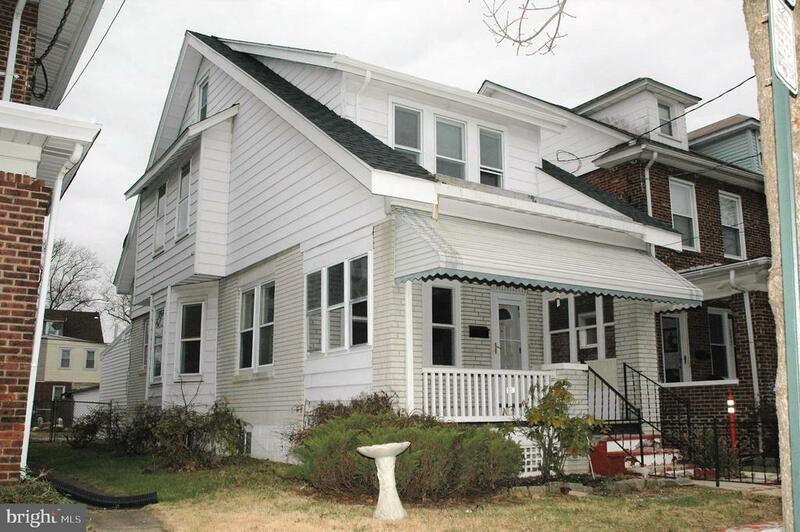 "Great opportunity to own this renovated 3 bedroom, 2 full bath plus Loft home. 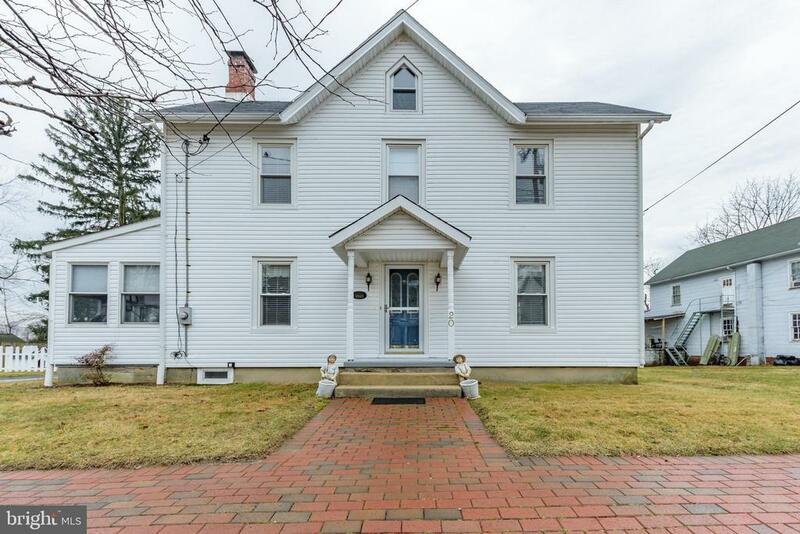 Step up from the Front Porch into the living room and formal dining room which boasts hardwood floors, original moldings. Off the dining room you will find a brand-new kitchen w/new wood cabinet, granite counter tops, a center Island, ceramic tile floors, SS appliances which include Gas Stove, refrigerator, and dishwasher. A new full bath and large laundry room with side entrance complete the 1st floor. 2nd floor features 3 nice sized bedrooms w/new carpeting, plenty of closet space and new full bath w/ceramic floors. 3rd FL has a Large Loft w/new carpeting and Large Closet/ Storage Area. Full basement with separate entrance. Rear fenced yard with rear entrance and space for 4 car parking. This home also features a New roof, gas heat, Public Water, Public sewer. 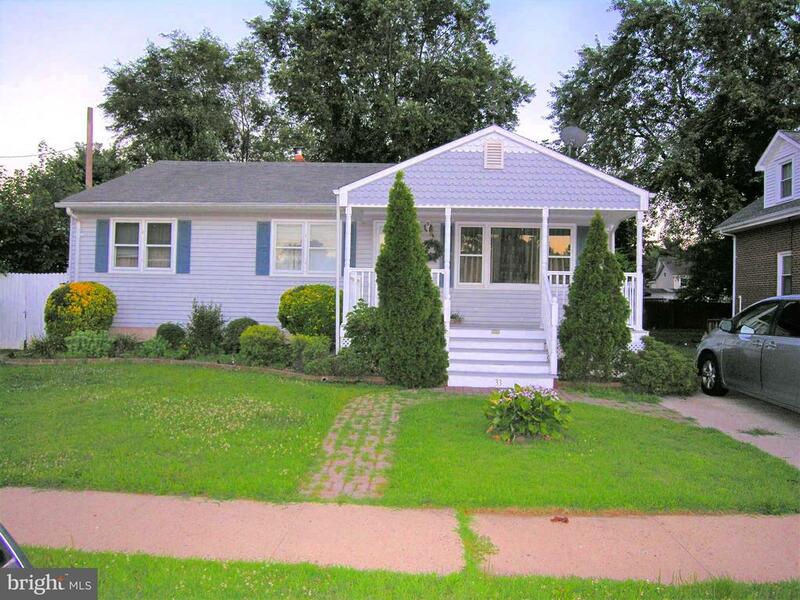 Home is located 1 block from Trenton High School and 2 blocks from Elementary School. 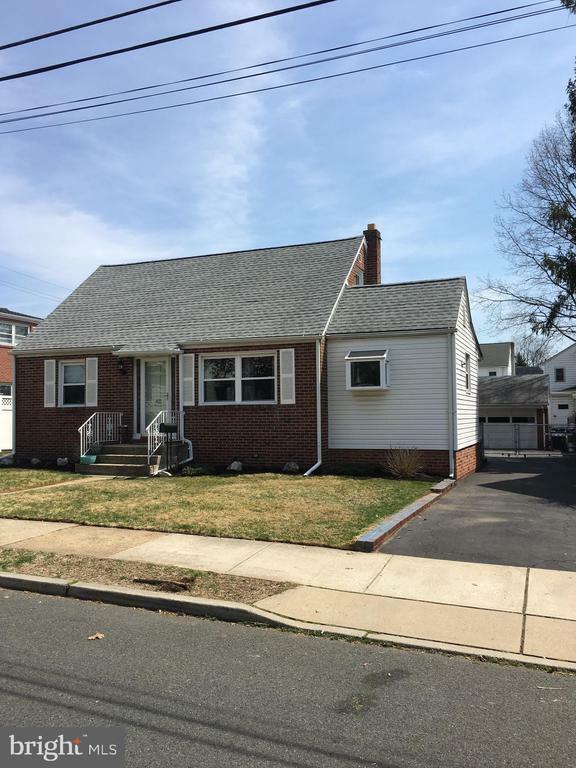 Close to public transportation, restaurants and major highways Rt1, Rt295, Rt206"
"Welcome to your 22-25 years Ewing Township 5 Bedroom 3 Bath Bi-Level home. As you enter the home you will walk up a short stair case to a nice size living room, dining room and kitchen. There are 2 full baths on the 1st floor including the Master Bath to the Master Bedroom. Aside from Master bedroom and Master bathroom, you are offered a 2nd and 3rd bedroom. Downstairs is finished and offers 2 full bedrooms, a sunny kitchen, a full bathroom with (stand up shower), a small dinning area and a large family/living room. 1 car garage has been converted to offer the 2nd bedroom, however there is some garage space available for storage. Back yard is fully fenced offering 2 sheds for additional storage space. Seller is motivated and open to negotiating!!!!! 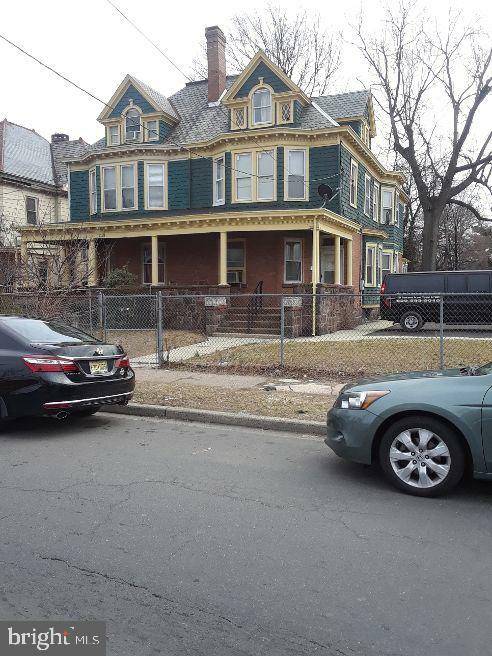 Seller will obtain the Certificate of Occupancy." 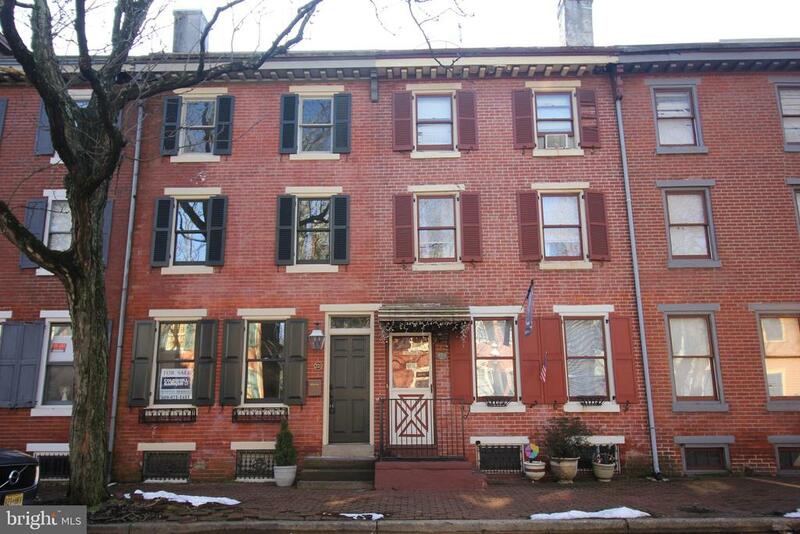 "Welcome to historic Mill Hill first settled in 1679 and Trenton's premier and most desired location. 221 Jackson Street is situated on a quiet tree-lined street with brick walkways this circa 1875 three story home with 2/4 bedrooms has just completed a full and thoughtful renovation and includes an extremely rare over-sized newer constructed 1.5 car garage with electric opener accessed from Conover's Alley.As you enter the home you are welcomed by high ceilings, stacked moldings,decorative mantle in the living room and brand new gorgeous HW flooring that runs into the formal DR with built in bookshelves. A brand-new power room with wainscoting, and exposed brick offers convenience and elegance for your family and guests. The totally brand new eat-in kitchen features white designer cabinetry with nickel hardware and soft close doors and cabinets, granite counter top with ogee edge, stacked stone backsplash, recessed and under cabinet lighting, full stainless-steel appliance package including side by side refrigerator with in-door ice and water, dishwasher with hidden controls,self-cleaning oven, over the range built in microwave and garbage disposal.Continue beyond the kitchen through the French doors to a brand-new pressure treated entertainment deck with secondary patio area below. The backyard includes new fencing and landscaping and glass painted French door access into the private garage. Beautiful wall and deck lighting complete this wonderful outdoor space.The second floor offers a spacious rear bedroom/library/sitting room with newhard wood flooring and beautiful built-in bookcases. Huge fully renovated bath that includes, beautifully tiled walk in shower with granite seat, historic cabinetry and iron tub were retained during this renovation. A large bedroom completes this floor with restored original hardwood floors and plenty of closet space.The third floor offers very large main bedroom/library/sitting room with high exposed beam ceilings, halogen track l"
"Large lovely property with all the commodities that your can imagine. This 27 years property offer to the new owner the desire of not get out of it. All rooms are nicely sized no to mentioned a finished basement with an under construction outside exit and a fence back yard and deck. Main bedroom with hot tub Jacuzzi and sunroof window." "Gorgeous and meticulously kept 5 bedroom very large raised ranch on a double fenced in lot in a convenient commuter location. This beautiful home has been lovingly cared for since it was built and designed by its previous owner in 1984. 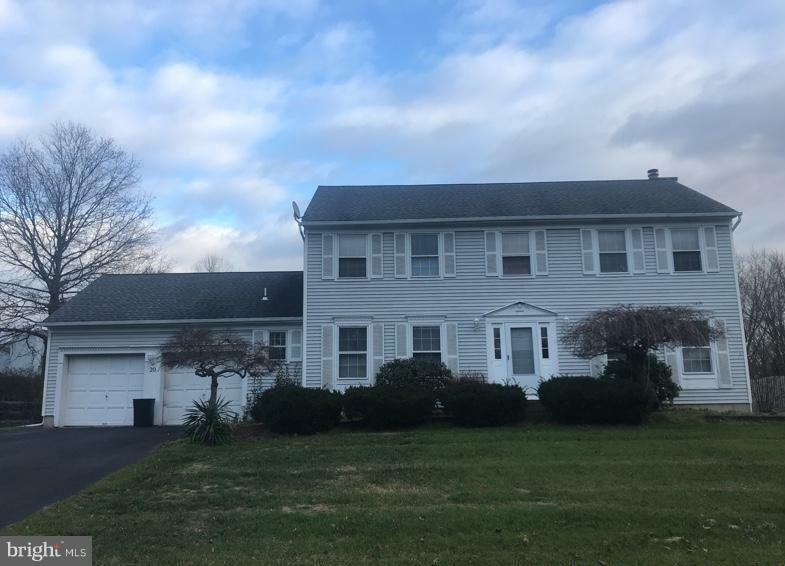 Upon entering the home take notice of the new gleaming hardwood floors, the spacious oak country kitchen excellent for entertaining company, sparkling bath with granite floor, tons of closets and storage space galore! Full 8ft. ceiling basement ready to be finished, large fenced in yard and so much more. Make this one of a kind house your New Home." "This property is subject to a 5% buyer~s premium pursuant to the Auction Terms & Conditions (minimums may apply). Please contact the listing agent for commission and details. This is a reserve auction and all offers are subject to seller approval. Please contact listing agent for details. ~Buyer representing self will not be paid a broker co-op commission"
"Move in condition on this exceptional Colonial Manor home. 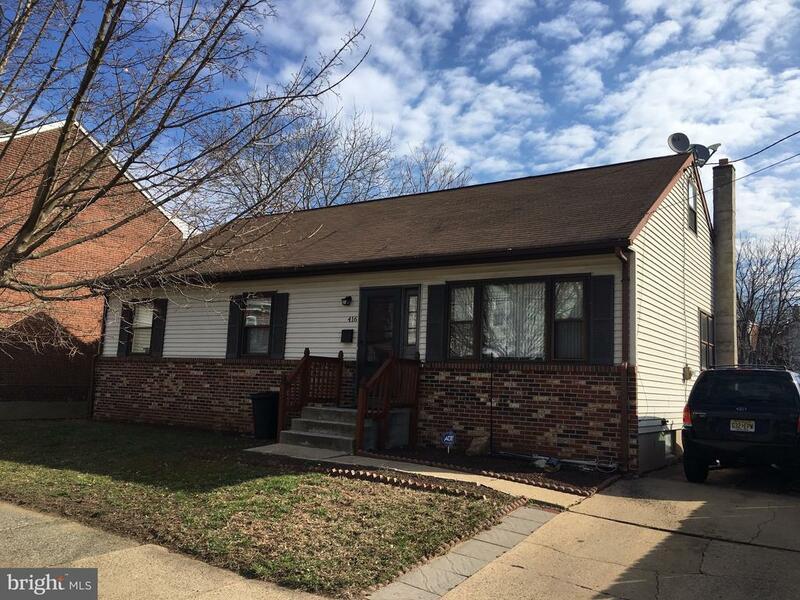 Solid brick Cape with a 1 year , 2 zoned, heater and central air. Hot water heater is 6 years old, all the windows have been replaced, hardwood floors refinished,recessed lighting and ceiling fans, and a brand new kitchen with granite counter tops and garden window, for you to enjoy. Basement is partially finished with a laundry storage area with plenty of shelves for storage. Master bedroom has a walk in closet, a cedar lined closet, and recessed lights . The yard is fenced in with a long driveway to accommodate several cars and a 2 car detached garage to park your vehicles."